Have you ever wanted to travel to Korea? Well, now’s your chance – Vivo and Digi are offering you a chance to do just that. 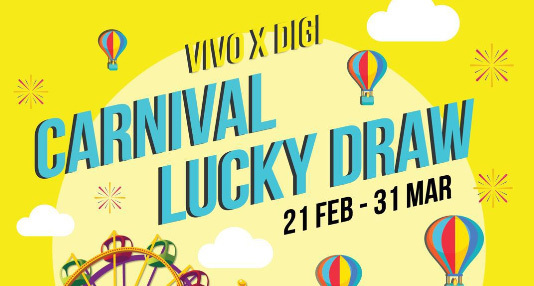 Vivo and Digi are offering you an opportunity to win a RM10,000 travel voucher to Korea when you sign up for a Digi package and purchase any Vivo smartphone at a Digi store. Not only that, you also stand a chance to win a Sym E Bonus 110 motorcycle. There are only three units up for grabs; but if you don’t win it, you can still get a consolidation prize whereby you get extra six months’ worth of warranty for your Vivo device. The contest starts this February 21 and will end on March 31. Visit Digi’s website for more information on the competition.